Where does the time go? In a blink of an eye, it's the end of August. 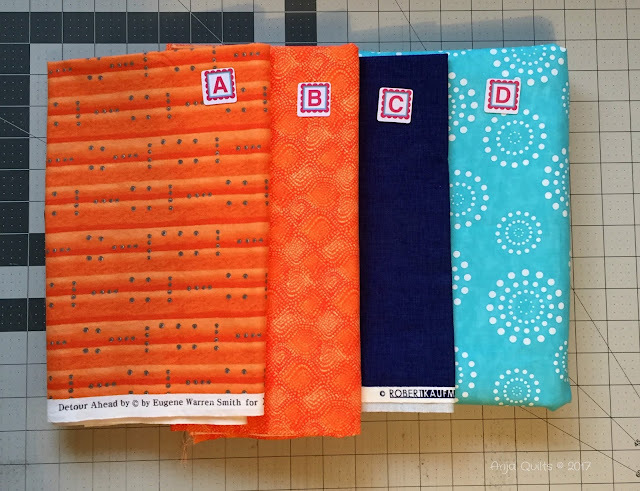 But I managed to get some sewing done and finished both of my August projects for OMG (which are also two of my Finish along Q3 goals). Here is my finished Postcard from Sweden. 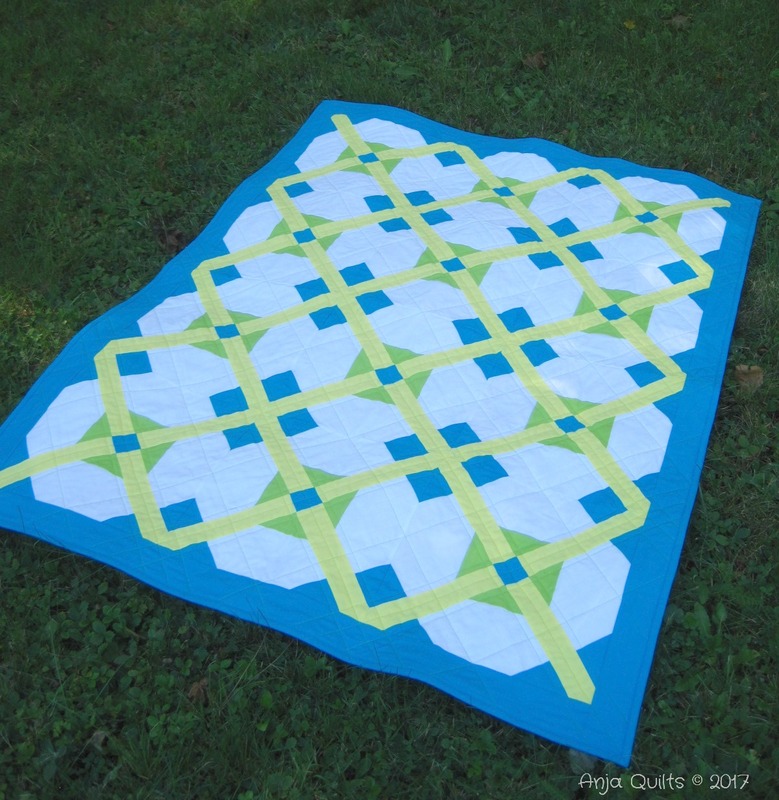 You can get the free pattern by Jeli Quilts here. Organic wavy lines in white thread for a quick finish. 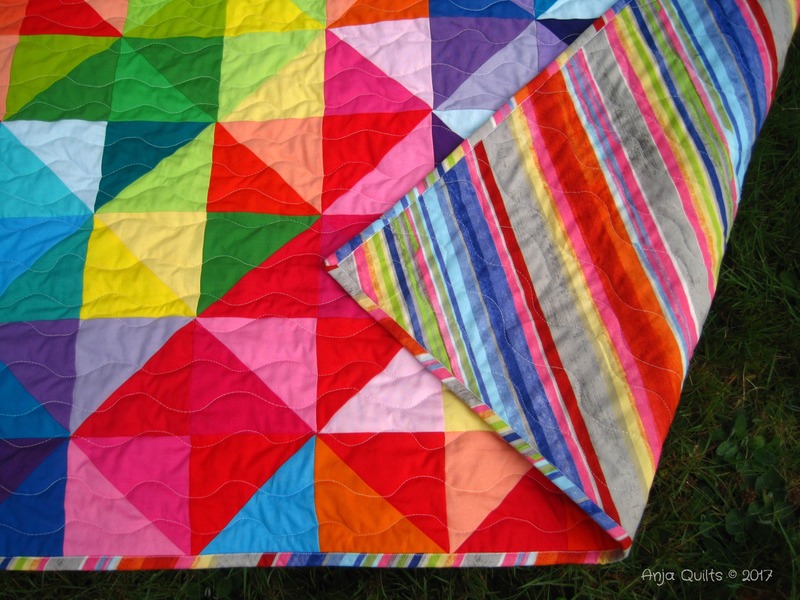 There was enough of the colourful striped backing to use for the binding. 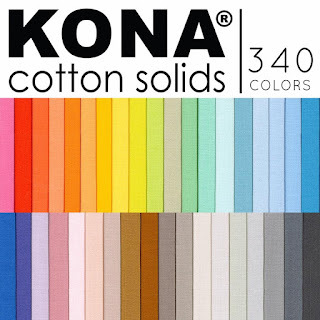 I used the following 36 Kona colours: Lipstick, Flame, Bright Pink, Pomegranate, Emerald, Kiwi, Sprout, Citrus, Lemon, Creamsicle, Nectarine, Kumquat, Chartreuse, Leprechaun, Cypress, Baby Blue, Regatta, Peacock, Cyan, Riveria, Capri, Lilac, Red, Purple, Mulberry, Crocus, Poppy, Wisteria, Valentine, Carnation, Petal, Candy Pink, Lagoon, Carrot, Orange, and Peapod. 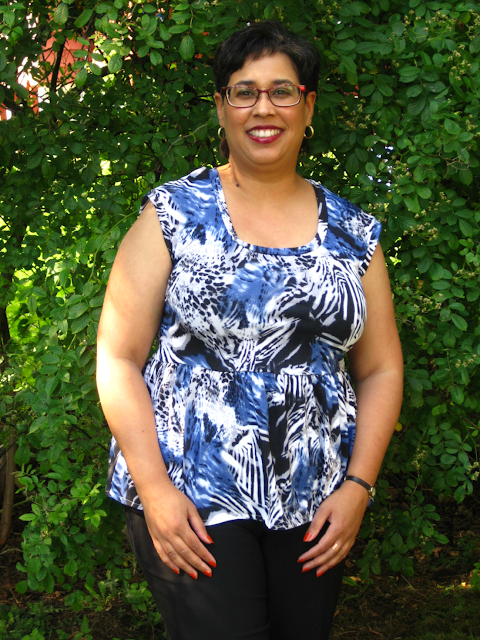 And I finished my blue Isla top (by Made by Rae). 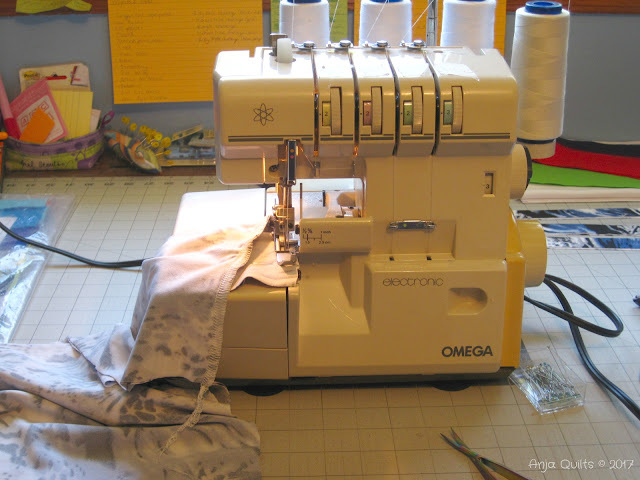 I used my new serger for most of the seams, but I still have a lot to learn. 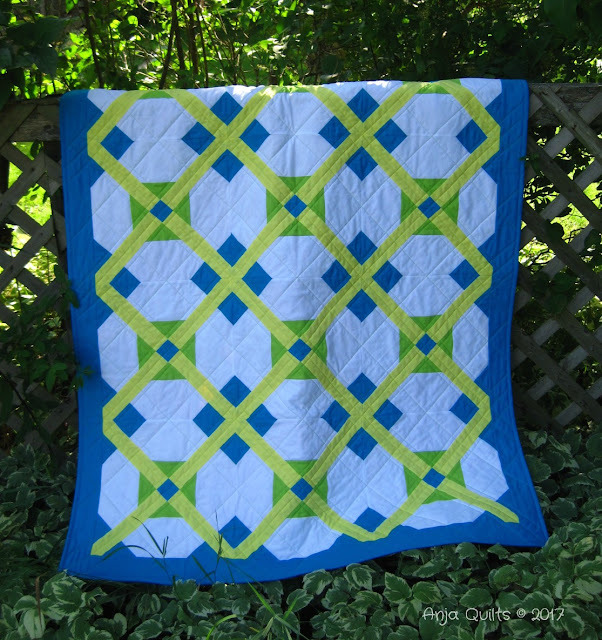 Cindy @ Stitchin at Home has released a new pattern, and I tested it for her. You can see Cindy's version here. 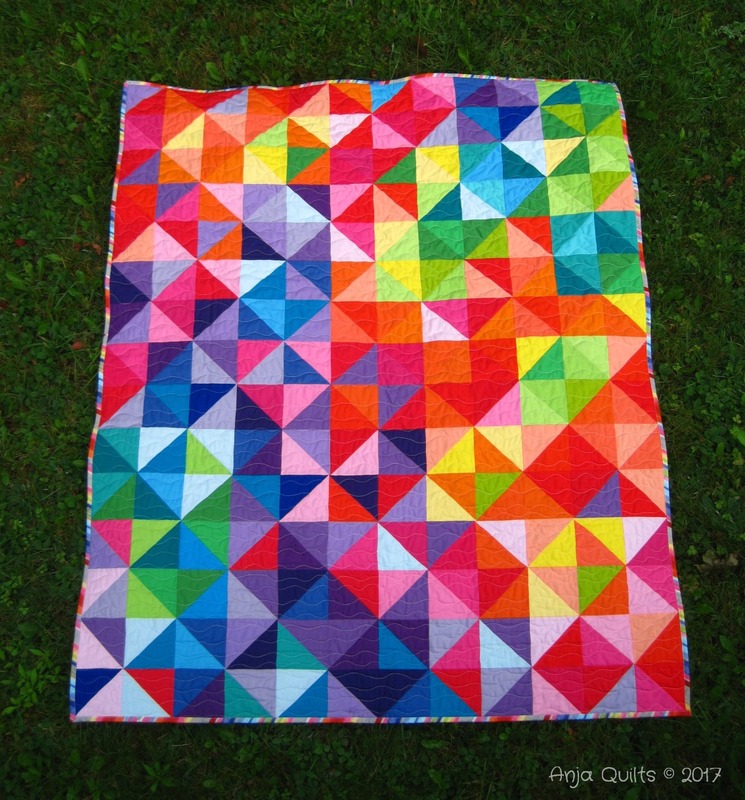 The pattern is available for sale here at Craftsy. My version is the baby size. I used Kona Lagoon, Chartreuse, Highlight, and White. 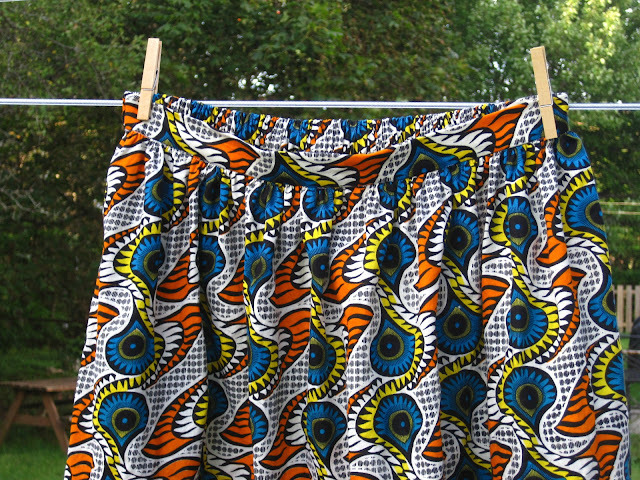 The colours don't appear as rich as they truly are...daylight is quickly disappearing earlier and earlier each day. 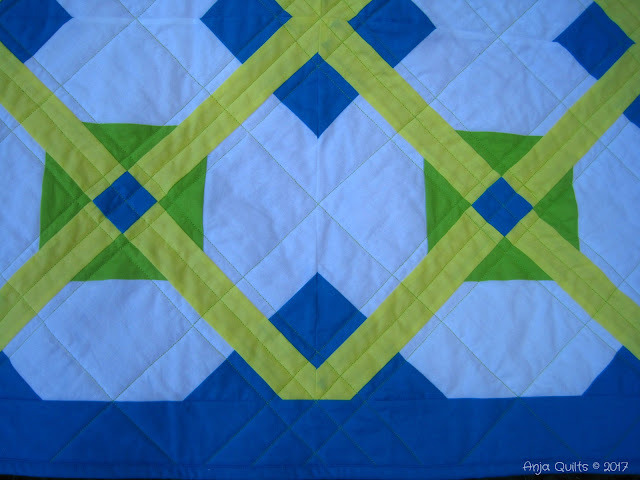 Simple straight line quilting. I decided to take the quilting into the border because I didn't want to tie off and cut any threads. But I love the pattern the lines created in the border. Giveaway - Leave a comment for a chance to win a copy of Cindy's new pattern. Head over to Cindy's blog for a second chance to win. The giveaway is open until midnight Thursday, August 31. 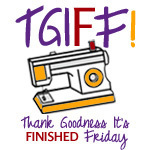 Welcome to Thank Goodness It's Finished Friday, once again being hosted here on the East Coast of Canada. 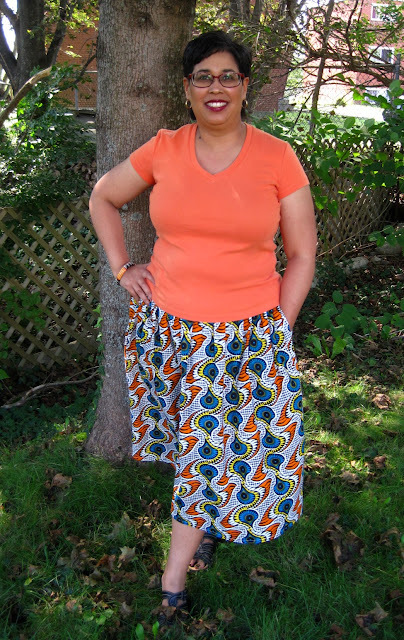 Rae @ Made by Rae hosted a Cleo Skirt QAL earlier this month. 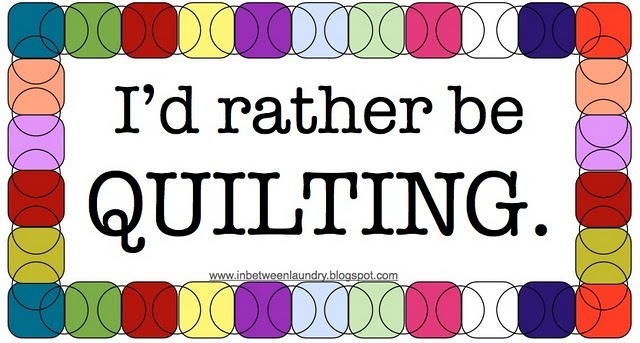 Unfortunately, I got sidetracked with life and didn't finish during the QAL. 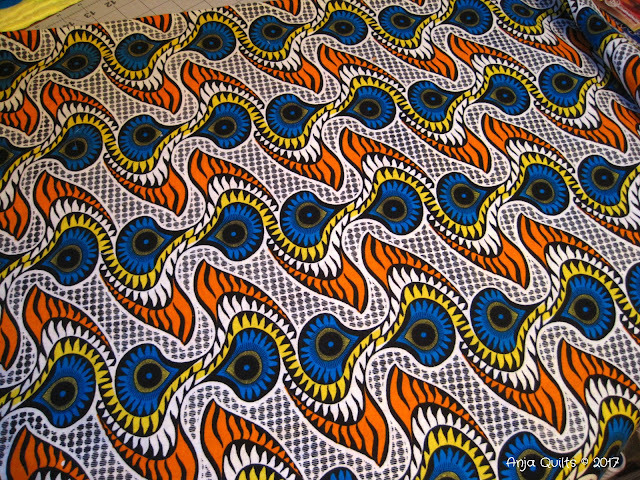 Here is the fabric I started with. I made a little mistake along the way -- accidentally sewed the waistband right side to the wrong side of the skirt. Oops. 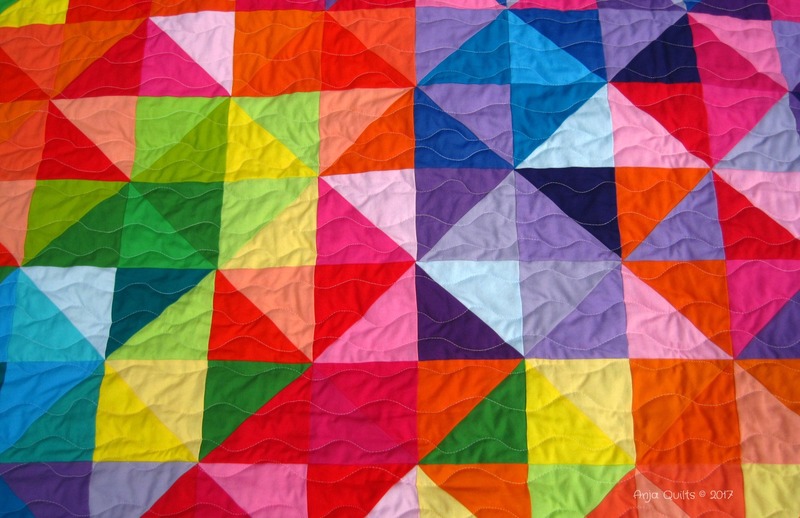 This is a simple pattern with lots of good directions. 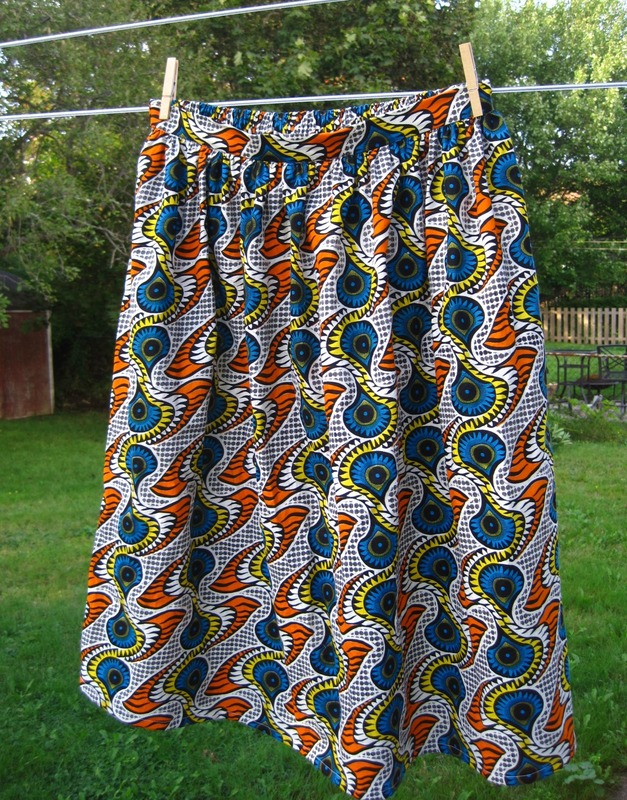 There is elastic in the back of the waistband, but not the front. It has two side pockets. 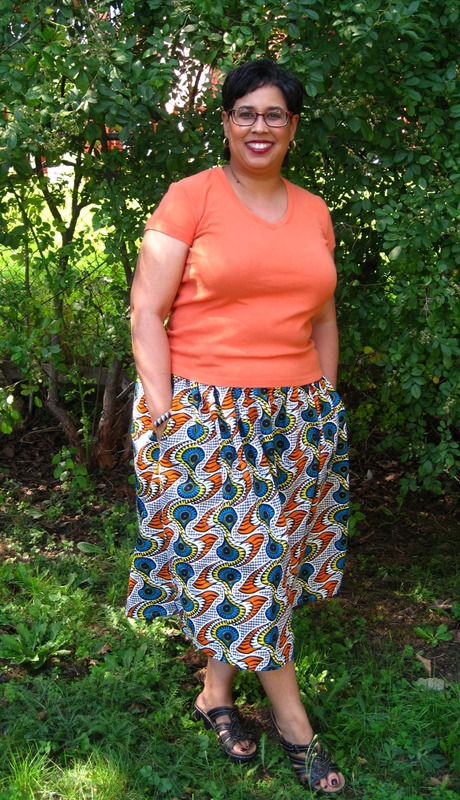 Here are a couple of photos of me wearing the skirt. My apologies...I neglected to announce the winner of my giveaway back in July. But there's a story (keep reading). The winner was comment #17 by Izzy. 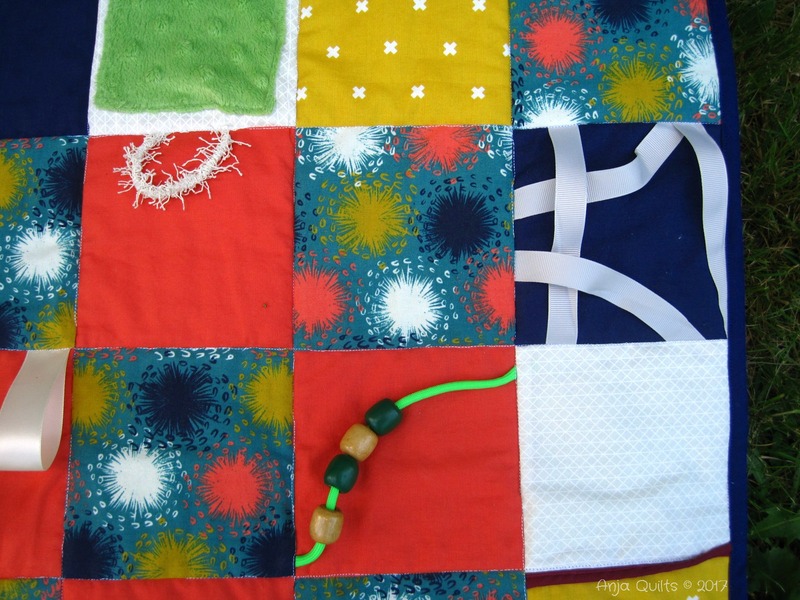 The patterns have been mailed to Izzy. Mom: Do you want Granny's old sewing machine? Mom: You'll have to ask Tyson (my brother) for it. Mom: It belongs to Tyson. Mom: It was willed to him. At this point, I'm beyond speechless. My grandmother passed away 37 years ago, when my brother was only a few months old. I'm the oldest. I'm a girl. Why didn't I get the sewing machine? And why has it been sitting around under cover for 37 years???? A few days later, I ask my brother if I can have it. He's given it to me on the condition that if he ever wants it back, I have to return it, but that he doesn't think he'll want it. Fair enough. So before I can tell my mother that I have approval, I get a call from her saying she and dad are en route home (the sewing machine is three hours away), and they are bringing me the sewing machine. Ummm...it's been in hiding for 37 years, but now, all of a sudden, it's urgent to deal with it. Of course, I wasn't home, so the machine was left in my shed. It is a Singer treadle. Yeah!! But now it sits in the shed waiting for some help bringing it into the house. So the dilemma is, do I call the Singer treadle Ida after my grandmother? But dad says he doesn't recall her ever sewing or how the machine came to be in the house. And what do I call the Singer Featherweight? I think I shall ponder some more. But the sad part (not really) is that I have been collecting all the 303 colours, with the goal to use all 303 colours in projects. I finally picked up the final colours back in June. I was working on a plan to start using them all....and then this news. I'm excited for new colours, but now I have to continue collecting. 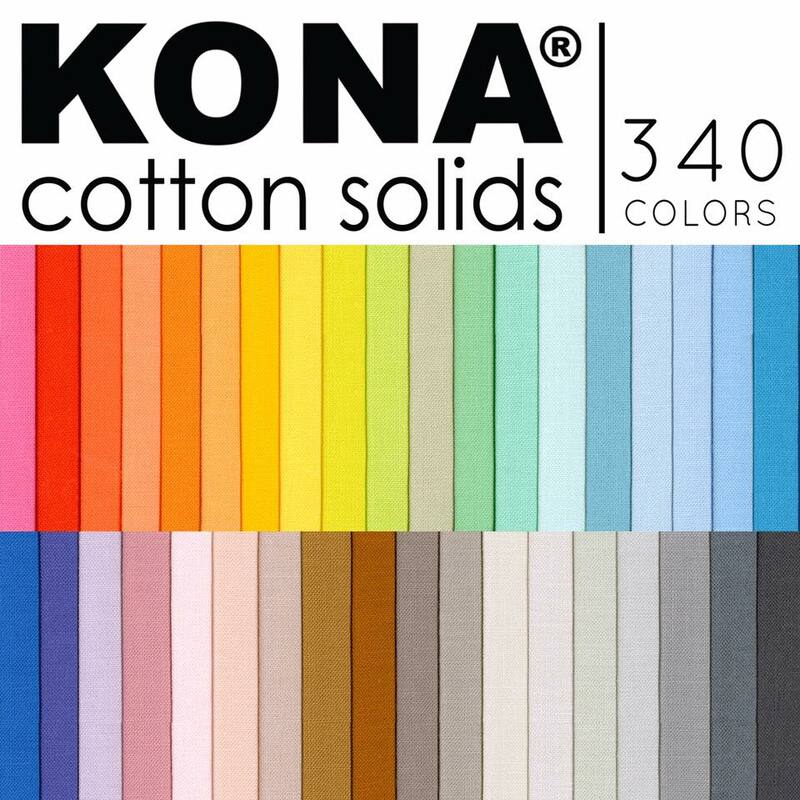 I hope to get my Kona page updated soon with all the colours I have used to date. I need to organize my colours into ones that I have already used and ones that I haven't. 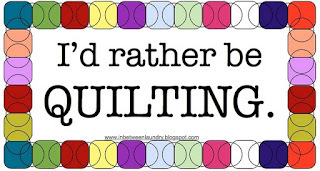 Not a lot of sewing going one. My busy spring at work has transitioned into a busy summer. But I've made a list of WIPs (and wish list projects), and I'm going to make an effort to make my way through the list in the coming months. The cutting instructions are easy, so I managed to get it all done early in the month. Now to wait for September's instructions -- let the sewing begin! 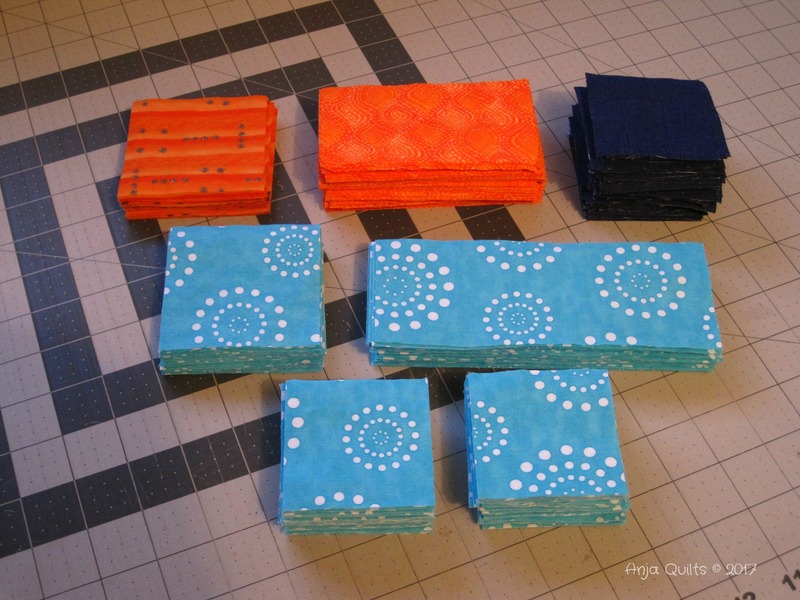 There is no shortage of WIP's in my sewing room, but yet I keep starting new projects. Next up is a skirt QAL with Rae @ Made By Rae. 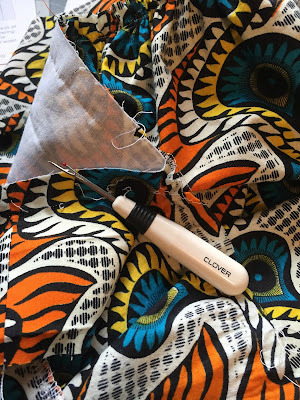 The Cleo skirt QAL started today and will continue for the next five days. 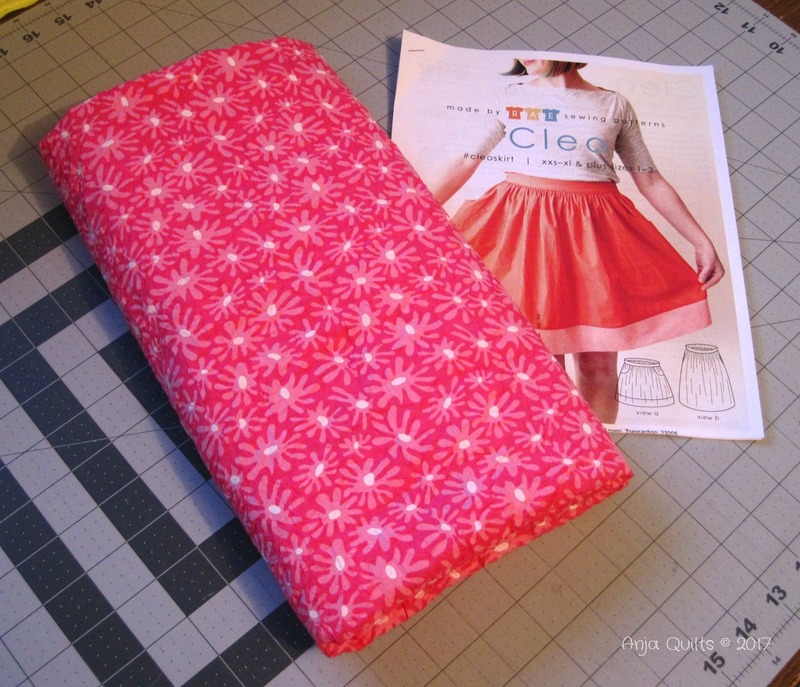 I found this pink crinkly fabric in my stash. I had a coupon for my LQS, so picked up some of this African cotton print. 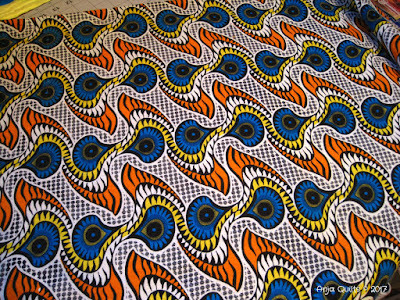 I think I'll use this fabric for my first attempt and then try the pink fabric. 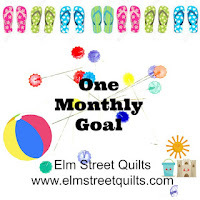 I have two goals for August's One Monthly Goal -- make my second Isla Top (one of my FAL Q3 goals) using my new serger and to finish July's OMG goal -- the quilt top is pieced, but it needs to be quilted. I started with an easy part of the top, as I'm learning how to use my serger at the same time. 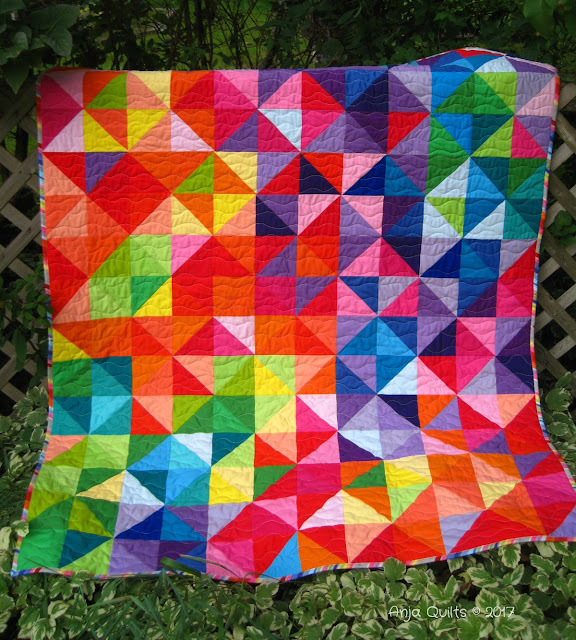 I definitey need to take a class at my LQS this fall. 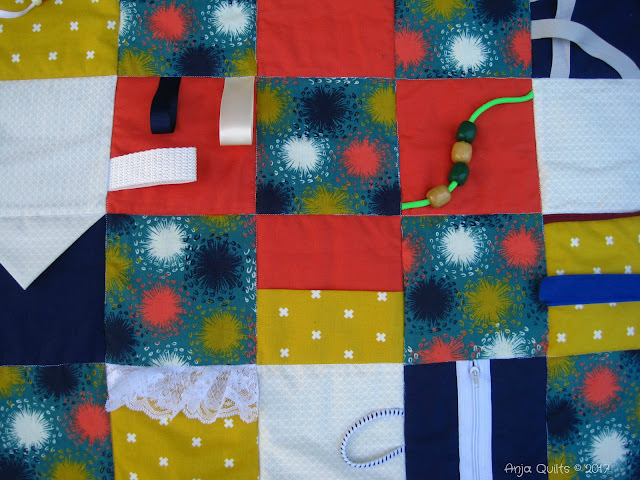 I've been intrigued by fidget quilts for some time, but never found the time to make one. 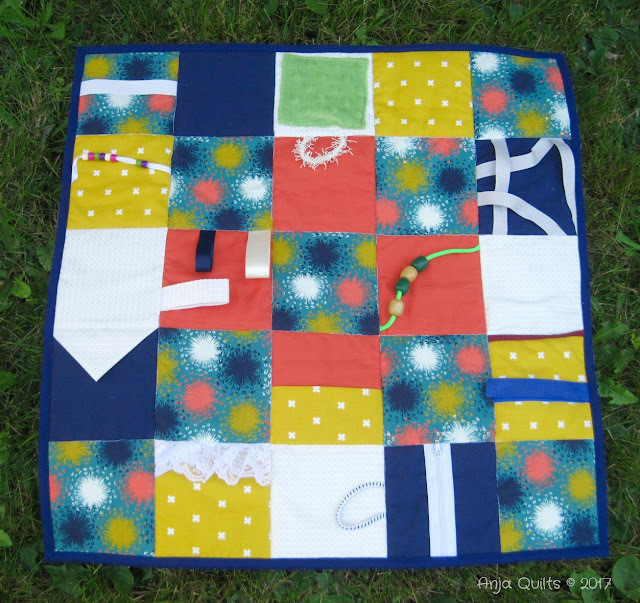 A friend's mother is in need of a fidget quilt, so it gave me the motivation to start one. 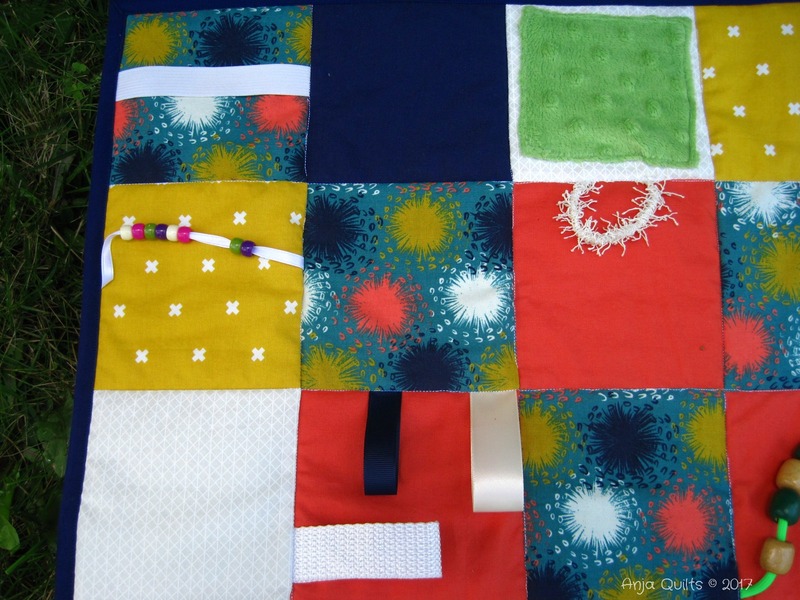 Fidget quilts are for little children, or people who have Alzheimers or dementia -- it gives the fingers and hands something to do. There are lots of great ideas on the internet, but I mainly followed this tutorial/video by Rob @ Man Sewing. 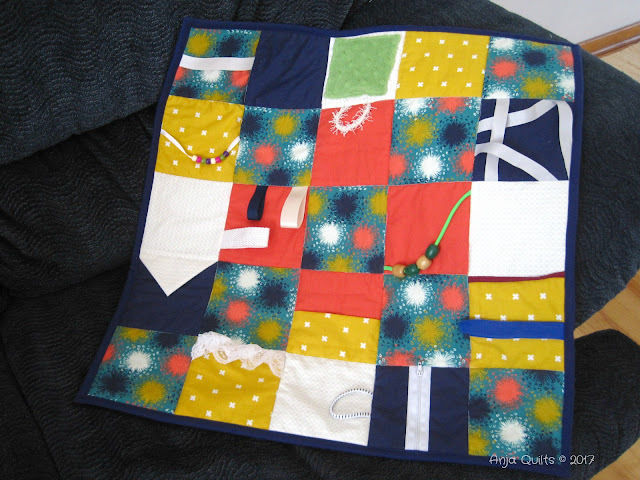 I didn't have a plan when I started, so I had to search my various crafts piles to find items. Some more ribbon for playing and some larger beads. I also added a pocket; a piece of velcro; a zipper; and some lace. It finishes 23 inches. I'm hoping this is a good size for her lap and that I've included enough different items and textures. This took about three hours to finish (finding items took the longest). 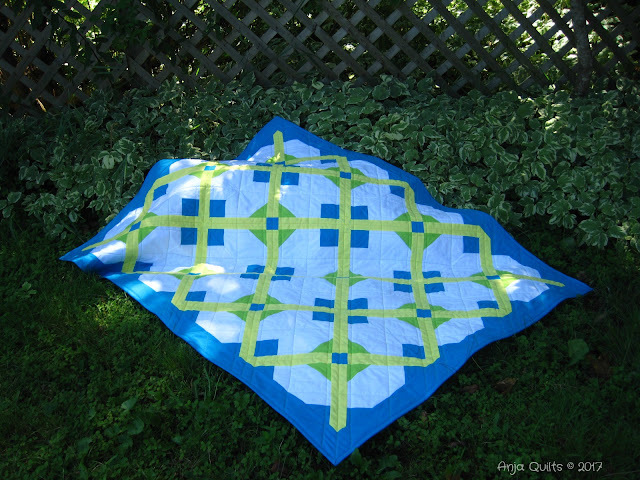 I'm looking forward to making more fidget quilts.